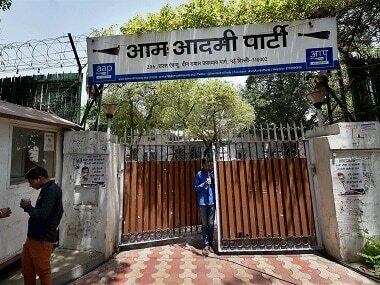 New Delhi: The AAP crisis deepened further on Saturday, with its leader Kumar Vishwas hitting out at the party's "palace politics", even as posters came up outside its headquarters dubbing him a "friend of the BJP" and a "traitor". 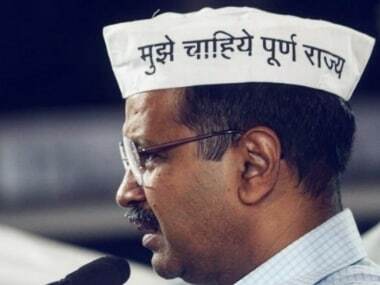 Vishwas, who was recently appointed the party's Rajasthan affairs in-charge, made a pointed remark that he would ensure the workers under him adhered to the Aam Aadmi Party's (AAP) "core principles" and went back to its "basics". He briefly attended a farmers' convention organised by the party at the Constitution Club, where the body language of the leaders was reflective of the internal dissidence. 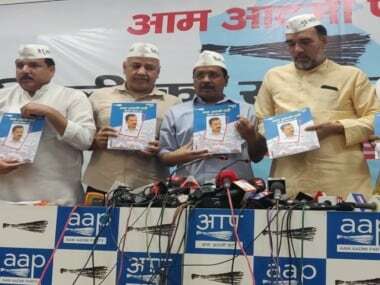 "We (AAP) did not come into being for these conspiracies and palace politics hatched by five-six people. We are for the causes based on which the party was born at the Ramlila Maidan. The party will fight the Rajasthan polls on its real principles," Vishwas told reporters on the sidelines of the event. 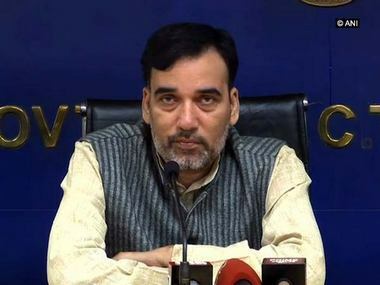 Earlier, he had held that a coterie around Delhi chief minister and AAP supremo Arvind Kejriwal "responsible" for the party's recent poll debacles, while distancing himself from the official party line of "manipulation" of electronic voting machines (EVMs). Drawing on characters from the Ramayana, the poet-turned-politician said that during every churning, "demons" did show up. Meanwhile, posters terming Vishwas as a "friend of the BJP" and a "betrayer" who should be "thrown out" of the party came up outside the party headquarters in central Delhi. "A friend of the BJP, he is not a poet but a traitor. He attacks while in hiding and backstabs. Remove such a traitor," read the posters, which also "thanked" former AAP Delhi convenor Dilip Pandey for "exposing" Vishwas. Pandey had recently accused Vishwas of being "silent" on the "transgressions" of the BJP. However, the party distanced itself from the posters. "A few suspended workers are trying to divide the party leadership by putting up such posters," AAP's social media in-charge Ankit Lal wrote on Twitter.